This kit lifts the rear of your Dodge truck by 1". Replaces stock block for 1" of lift. The 3" tapered blocks are a great way to lift the rear of your truck for towing or hauling. 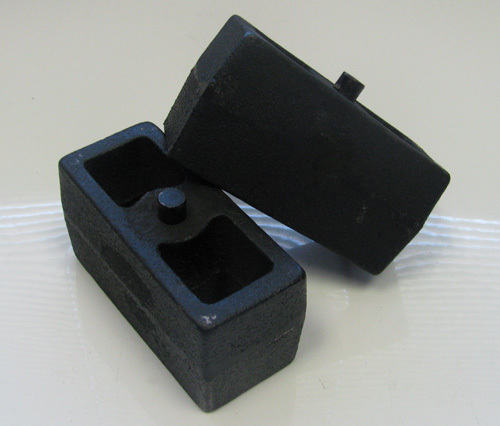 The blocks are 3" tall (tapered) and 2.5" wide.